Minister of Science, Kirsty Duncan, announced the 2017 results of the NSERC Discovery Grants Program today in Victoria, British Columbia— a total investment of $515 million in support for fundamental research, over $35 million of which will go to McGill’s researchers in the full range of science and engineering disciplines, from biology and chemistry to advanced materials engineering and astrophysics. McGill ranked third nationally in terms of total money granted, behind the University of Toronto and the University of British Columbia. 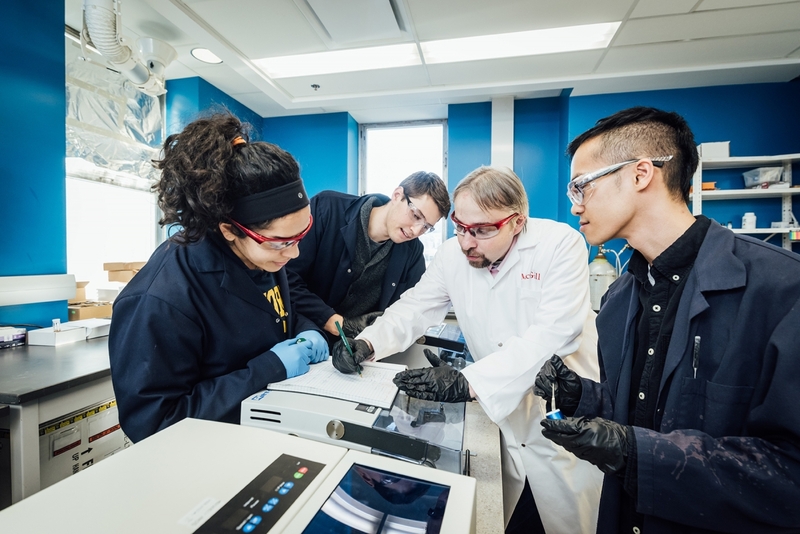 Included in the total McGill investment is $2.4 million for resources to selected researchers to accelerate progress and maximize the impact of their promising research proposals through the Discovery Accelerator Supplements Program. Professor Tomislav Friščić is one such researcher selected to receive a Discovery Grant as well as a Discovery Accelerator Supplement, together totalling $530,000. Friščić’s lab researches solid-state, solvent-free and near solvent-free reactions for the purpose of cleaner and more energy-efficient synthesis.